This impressive list includes dozens of families, and their service shops, stores, factories, and farms that’ve made it to the third generation — and beyond. We’re betting you know one, buy from one, or even run one: a family business. The café that grew up in a kitchen. The business that began in a barn. These beloved — often legendary — North Carolina businesses share a common, unbroken thread: They span three, four, five, and sometimes even six generations of the same family. To understand how remarkable that is, consider this statistic from the Center for Private Business at Wake Forest University: Less than one third of family businesses survive the transition from first to second generation. Another 50 percent don’t survive the transition from second to third. Which makes the multigenerational businesses here in North Carolina — hundreds of them — even more impressive. This month, we show our appreciation for dozens of families, and their service shops, stores, factories, and farms that’ve made it to the third generation — and beyond. 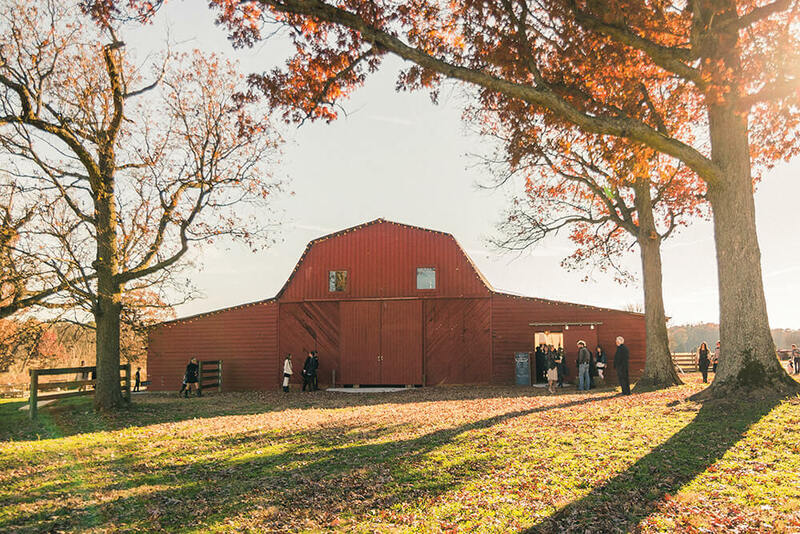 Known for gorgeous flowers, the eighth generation of this family farm was inspired by the property’s 600-tree orchard and started a small-batch cider house called L.L. Draughton’s Fishing Creek Cider. 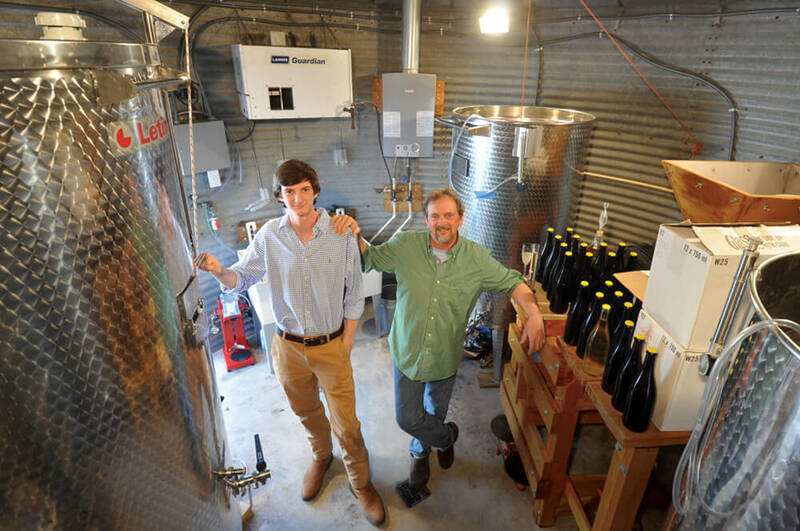 Anderson (left) and Michael O’Brien brew hard cider. Photo courtesy of Fishing Creek Farm. The sixth and seventh generations of this farm-turned-dairy scoop ice cream (peach to coffee) at their creamery. In the very building where A.C. Vogler sold his custom coffins and furniture, the sixth generation continues the trade. Briggs Hardware is entwined with the history of North Carolina’s capital city. Now, six generations in, the store is taking on new meaning, and a new challenge, in a familiar place. Read more. Once a stagecoach stop, Washburn’s General Store in Rutherford County is where the locals ear lunch and orders come in from around the world. Started in Kinston, the company moved to Durham to serve the African-American community. The family has deep connections to black business leaders and a long-standing commitment to public service. 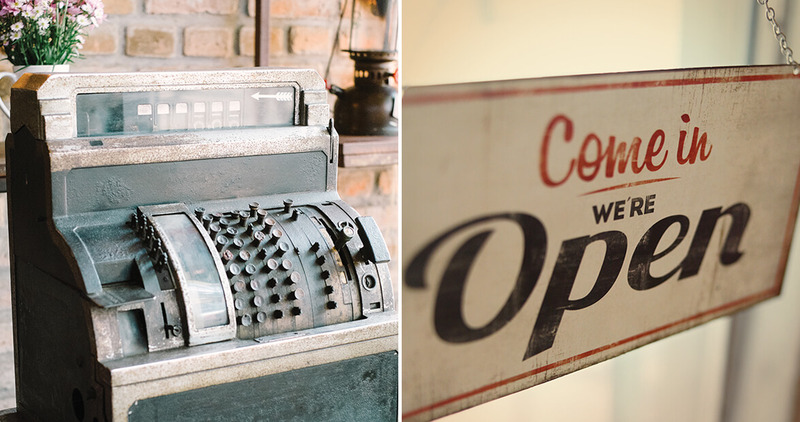 First launched as a dry goods general store, the original owner in the Tiger family introduced meat, produce, and a livestock pen out back for bartering animals. Now, the fifth generation dishes ice cream at the adjacent soda fountain. It all began with a ball of string: From textile yarns, cordage, and twine, the company evolved to masking tape, and now produces FrogTape, among other brands. With a patent in hand, an ambitious brickmaker started a business with his eldest son. Generations of grandsons later, the company is a global leader in extrusion. 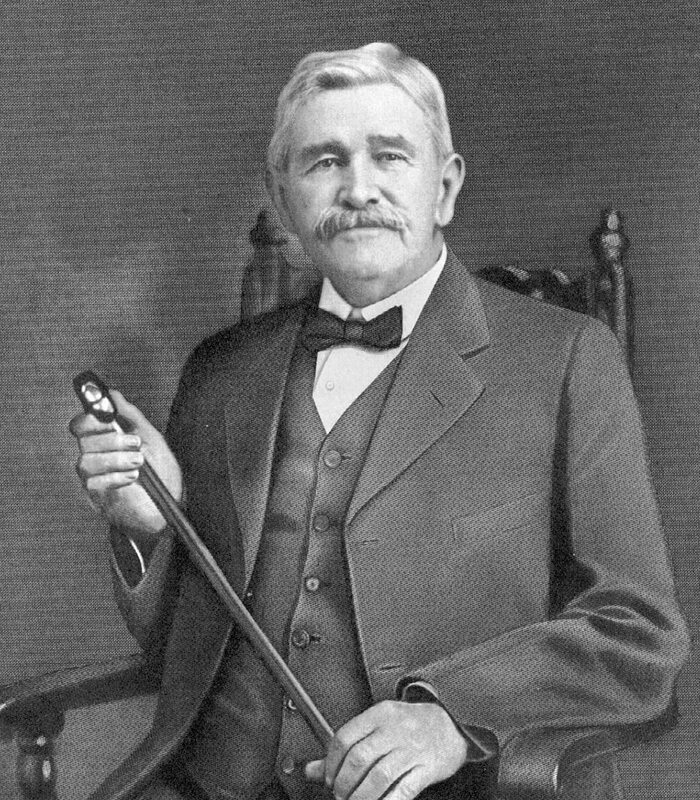 J.C. Steele rose from brickyard to boardroom. Photo courtesy of J.C. Steele & Sons. 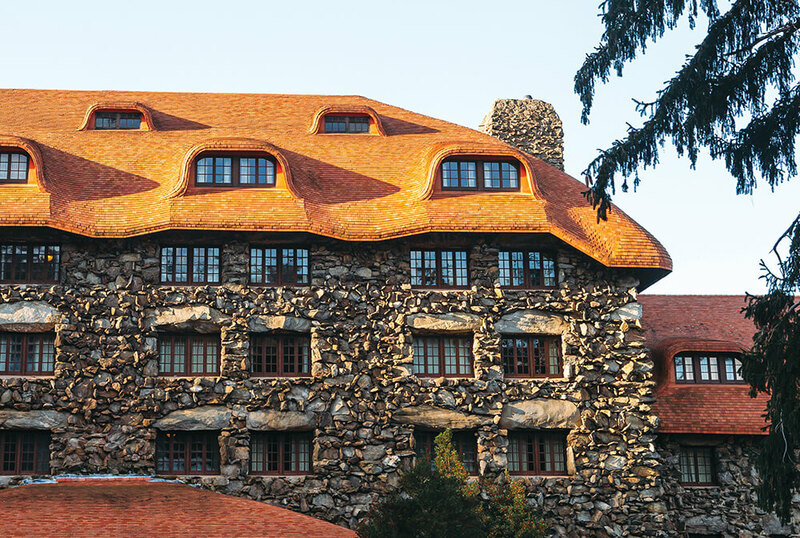 Still run by descendants of George Vanderbilt, the company, which includes a hotel, spa, winery, home furnishings, and other enterprises, has grown to 2,400 employees. Most of the election ballots for NC, SC, and much of Virginia are printed by this fifth-generation business, which began as a printing and office supply store. The fourth-generation descendants of founder Owen G. Dunn have expanded the company nationwide. After working in a furniture store that specialized in making caskets, William Henry Wilkerson pursued formal training in embalming. Caleb Tripp Sr. built a blacksmith shop in front of his home in 1889 to employ his six sons. But when a local doctor — the town’s first car owner — got a flat, a new business was born. J.T. Neese’s special recipe is a staple at breakfast buffets and holiday parties. (Sausage balls, anyone?) Now in its 100th year, the company is managed by his grandson Tommy Neese. A sugar shortage inspired L.D. Peeler to try out cherry flavoring in his sodas. 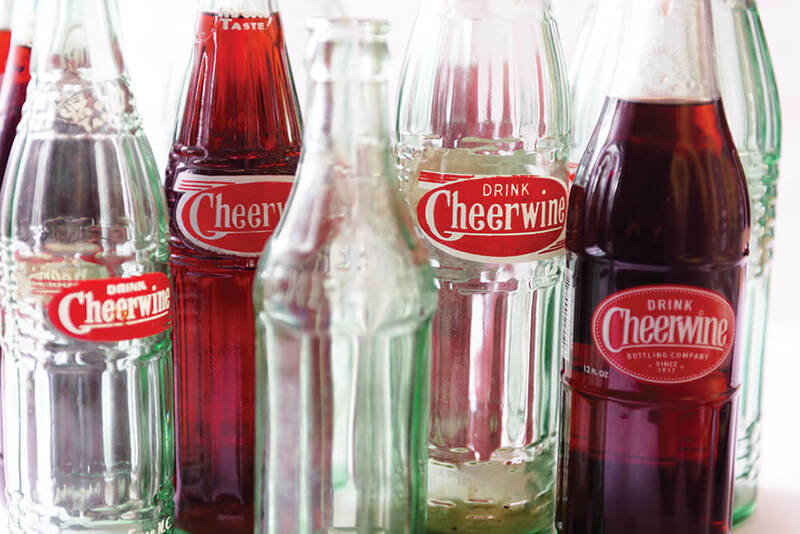 Now Peeler’s great-grandson is CEO, and “the nectar of NC” is a national treasure. Serving in the U.S. Air Force in Korea, T.C. Lewis was known as “Topcat,” a moniker that adorns the gas stations he founded with his father. As his full-service fuel company expanded west, Lewis was mayor of Sylva, too. Shiny gems and fast cars: When Delmar Hayes combined his passions, his company became the longest-running sponsor of NASCAR and designer of their trophies. Every day, founder Charles Hoke donned a black fedora to go to work, a style the fifth generation has yet to embrace. Still, Hoke’s knack for chatting up customers remains a family tradition. This lab cooks up playful flavors for candies, sodas, baked goods — even beverages made specifically for soldiers. What began as a curious venture in a pharmacy’s back room now boasts a 93,000-square-foot distribution center. Want a ring? A watch? A necklace? The Schiffman brothers will sell them to you. Want a chuckle? Try listening to the stories from a fourth-generation jewelry store that’s still doing some serious business. When a crying infant needed a pacifier at 2 a.m., a mother thought nothing of calling Mr. Moose to ask him to open the store. That’s loyalty. This standby has been in the same downtown location since day one. Modern kitchens are indebted to Julius Everett Marsh Sr., whose “kitchen safe” design evolved into built-in units with flour bins, iceboxes, and butcher tables. Photo courtesy of Marsh Furniture. A minister who lost his voice and could no longer preach partnered with E.P. McClure to start a general store. Soon they were selling home goods, then furniture and coffins. E.P.’s son took over (after a stint as a minor league baseball player), and so it continued: fathers giving the keys to their sons. The Goodman brothers could repair or create the most intricate woodwork. By preserving the original 1920s steam engine that once powered the plant, their history is still present. York-built landmarks abound in the Triangle: Memorial Auditorium, NCSU’s bell tower, and Cameron Village. Their civic legacy is just as vital: J. Willie York helped desegregate public schools. Photo courtesy of York Properties. Grown in sandy soil near Albemarle Sound, the peanuts once roasted by “Papa Jack” Powell Sr. in his trusty popcorn popper are now sold nationwide. A one-man business that started with a wagon full of scrap metal and rags is now a metal-recycling company that ships all over the world. A brother and sister now run this wholesale operation started by their great-grandfather, who cultivated fruit trees and shrubs to sell. As very early adopters of green energy, Clarence Sr. and Clifford Beaver worked on hot water heating systems. Clarence Jr. was an early proponent of solar energy, a passion passed down to the current generation, who install energy-efficient heating systems. T.S. Keever knew that both nuts and locks are hard to crack. Perhaps that’s why he opened a locksmith business in the back room of his Hickory Nut Shop. Making keys and fixing locks soon took over, and today the company employs five locksmiths, including the state’s first female certified automotive locksmith. Seeing Model Ts roaring through the Piedmont gave Kemp Johnson an idea: He started a business distributing fuel to country stores. Today, even airplanes fill their tanks from his company. While others used horse-drawn mowers, E.J. Smith tended turf with zippy red tractors. Today, his company keeps greens plush and fairways lovely in SC, TN, and VA, too. Charles W. Costner Sr. recalled learning to make a coffin from his father under a red oak tree, soaking the wood to make it pliable. The memory became a business, now run by his grandsons. The original name, “Mexican Joe,” was quickly changed when Sam Garner declared that his family’s red pepper sauce needed an “American name.” Four generations later, the T.W. Garner Foods group sells condiments and sauces without the heat, too. 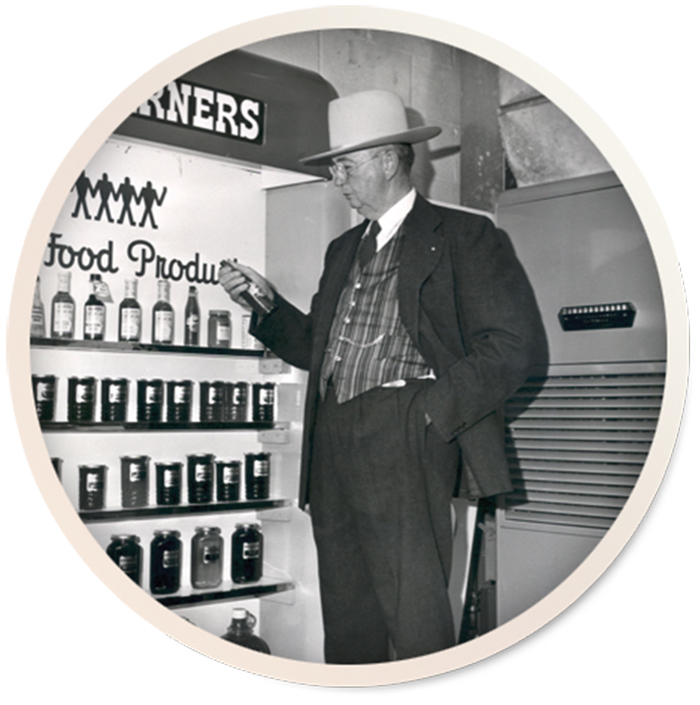 Photo of Sam Garner courtesy of Garner Foods. The state’s largest chicken-frying pan is in Rose Hill for a reason: It’s home to the poultry empire started by Nash Johnson and his sons. At the annual Poultry Jubilee, you’ll find Johnson family members and birds aplenty. She worked at Atlantic Beach Seafood. His family owned the place. Now, Kamile and Chandler Willis are running the Carteret County institution where the shrimp is hand-packed, the oysters lead to stories, and one spouse (gasp!) doesn’t like seafood. Read more. In the ’50s, the wife of this textile company’s president had an ingenious idea that led to the invention of pantyhose. The oldest grocery store in the state also includes Ward’s Grill and an event space — affectionately named after Lola Thompson Ward, who ran the business well into her 90s. One of the last working farms in Charlotte (ownership dates back to 1869), Hodges moved away from the dairy business in favor of agritourism; they host school field trips, too. Photo by Seth Snider Photography. Civic pride more valuable than diamonds: Three generations of the family, including two owners, have served as mayors. Now a home design store, this glass-glazing shop opened the year that the towns of Winston and Salem merged. One of their divisions brings the company full circle: They help preserve historic buildings — from the same era when Baker was founded. Before founder and Lebanese immigrant Isaac Kannon officially opened his fine-clothing storefront, he peddled quality goods on foot and, later, by horse and buggy. In the mid-1800s, a third of the businesses in Robeson County were Jewish-owned, including men’s clothing store Joe Sugar’s. Today, it’s the last one remaining. A. Leon Capel created the first-ever reversible braided yarn rug 100 years ago. Using raw materials from NC and locally sourced dyes, the rugs reflect the state. B.E. 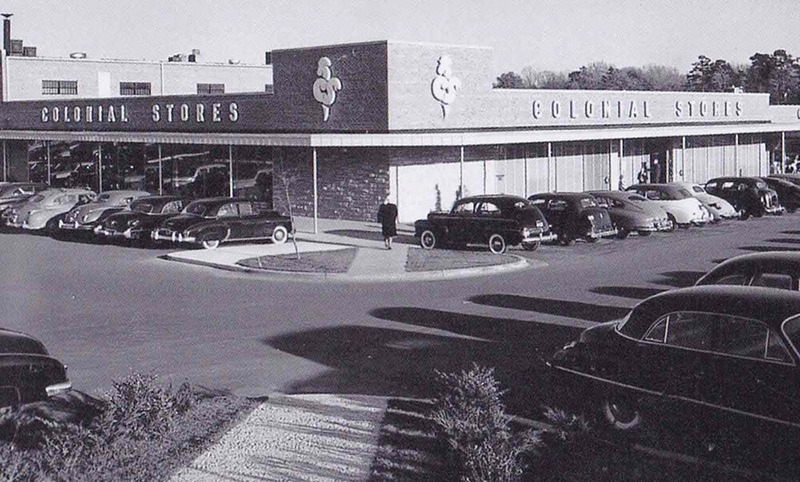 Holbrooks was a garage, a hardware store, and a grocery store before landing on plumbing and HVAC services. Owner Edwin Holland employs the fourth generation, and though they can’t exactly work there (yet), little fifth-gens are already underfoot. Workers here once needed brute strength: The first workshop was on the top floor of a downtown building, which meant all equipment had to be carried up a steep flight of stairs. Despite the name, the third-generation funeral director is actually founder Clark S. Brown Sr.’s granddaughter Carla. 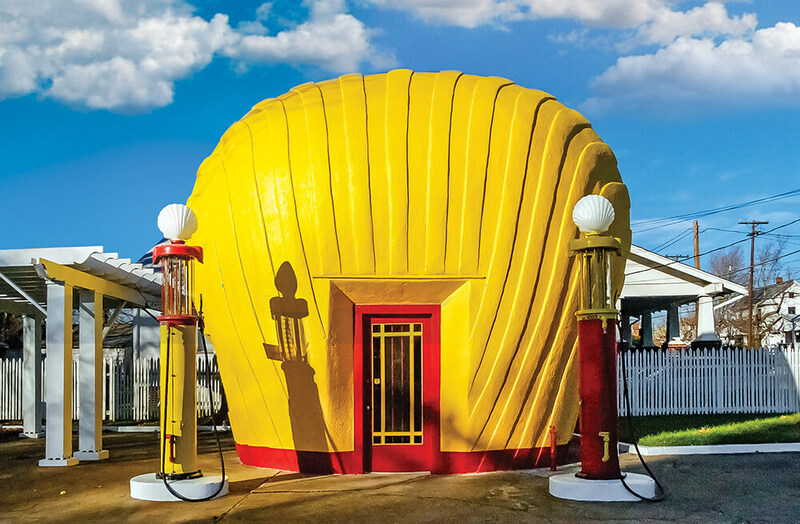 To help launch Shell Oil, Quality Oil built eight shell-shaped gas stations; the only one that remains is on the National Register of Historic Places. One of the first bakeries to perfect the honey bun, this company actually got its start as a sandwich business before expanding to sweets after World War II. The start of the Korean War led to a large contract to manufacture military parachutes — and a devotion to making them ever since. This company began selling appliances when the first rural electric lines were laid; in 2016 it was presented with a key to the city. It wasn’t until 1951 — after a fire forced a renovation — that K&W debuted the cafeteria concept, which became so popular it was implemented in every location. Originally a roadside dive for sandwiches and beer, the owners built a new, modern building in 1947, along with the famous “hat,” which was intended to sell gas. When gas wasn’t profitable, they switched to ice cream. 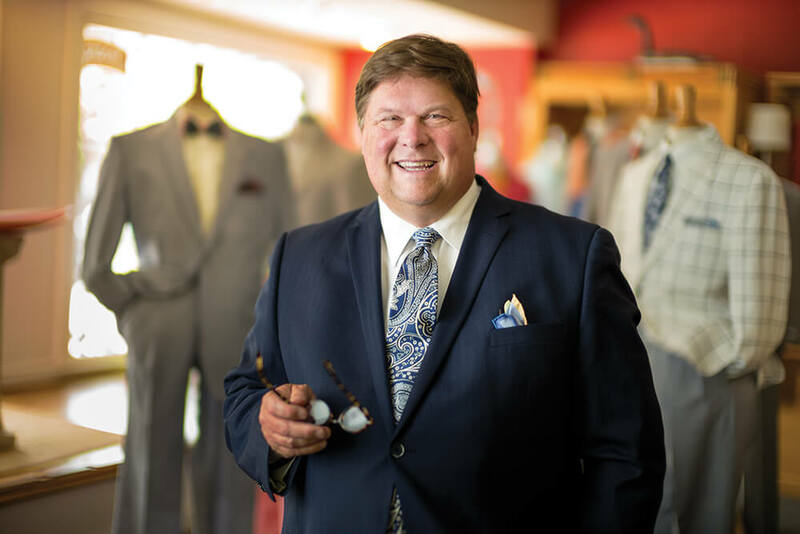 Steve Ashworth started working in the family’s men’s clothing store at 9 years old, standing on a telephone book to run the register. His father and uncle taught him the business — just as their father had taught them. One radio station, WRAL-AM, launched by attorney A.J. Fletcher, has grown into a multi-media empire run by his son and now his grandson. Their love of horse ownership has expanded beyond transportation needs to all horse-related necessities. Maurice Julian introduced his native New England style to Franklin Street. Meanwhile, his Southern wife, Mary, introduced him to the merits of bright colors: Together they created the classic Tar Heel preppy look — and a shop that keeps the style fresh. The leading roaster of in-shell peanuts in the U.S. — roasting some 100 million a year — began as a simple peanut-shelling company. Russell Stephenson left his father’s lumber business to strike out on his own with a cabinetry shop located in a cow pasture, a far cry from today’s 100,000-square-foot factory. What started in a small house on Kivett Street has transformed into a business that now includes moving customers into their new homes. 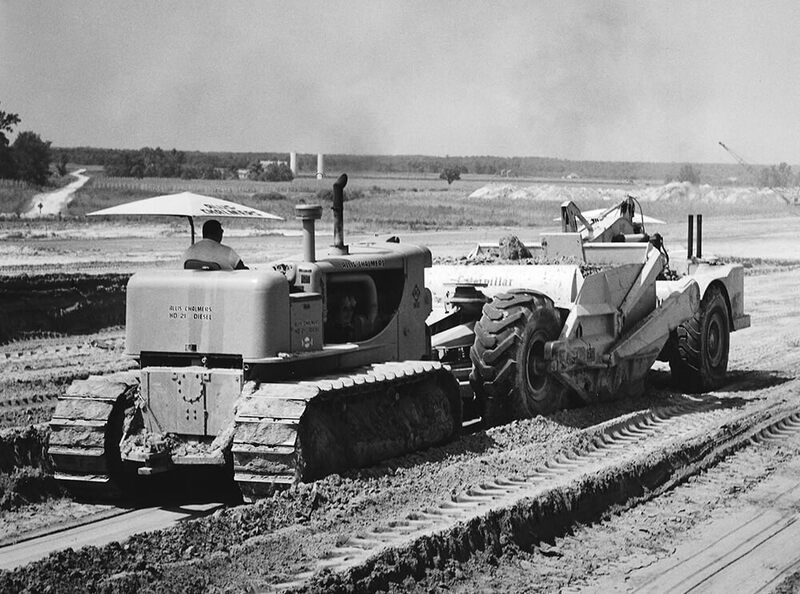 Using surplus military equipment and machinery purchased after WWII, the company quickly specialized in road and highway construction. Photo courtesy of Barnhill Contracting. Orphaned at age 8, Eddie Smith learned early on to value family and community. With the help of both, his direct-mail hosiery business has expanded to apparel — and 200 employees. Robert Ruggero learned to play the violin as a child in Torino, Italy. Music followed him to America, where he eventually started a piano service that is now the most complete piano store in the area. The founder’s first demo project was a dilapidated church. Young and newly married, Griffin reclaimed the lumber and nails to build himself a house. Carhops deliver burgers (beef or shrimp), dogs, shakes, and sides to picnic tables under the oaks. You may see three generations pitching in at this Crystal Coast landmark. The Sugar Crisps recipe goes back nine generations at this company that started in the kitchen of a small dairy farm. This pet-friendly beach lodge nestled in the maritime forest was jointly designed by the owner, a former Raleigh city planner, and a modernist architect, and maintains its original ’60s flair with turquoise accents and wood paneling. Tiling is an art form these days, with backsplash mosaics and hand-painted tile surrounds. Mr. McCullough’s daughter and grandson help clients embrace the newest designs. Humble beginnings — a pickup, a fridge, and fish from the Chowan River — turned into a national business and a fleet of 14 trucks. Founded at a time when keeping your chrome fenders shiny was a top priority, now — more than 60 million car washes later — there are 78 stores throughout the Carolinas, Georgia, Virginia, and Maryland. No gas. No liquid smoke. Ever. Throughout North Carolina — even at RDU airport — this is a go-to for charcoal pit-cooked pork. The lake that shares this company’s name comes from the Algonquin word for “dry dust.” Tell that to the crabs and oysters processed here. What’s plucked from the fields and baked in the ovens of this sustainable homestead farm is sold in the shop. There’s a sanctuary for rescue animals, too.